290 pages | 20 B/W Illus. This book examines the crisis in Ukraine, tracing its development and analysing the factors which lie behind it. 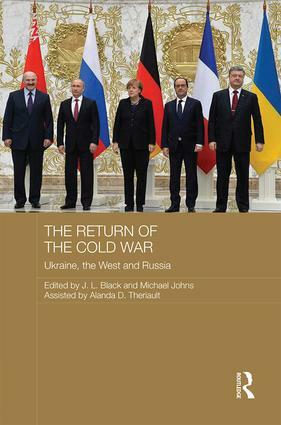 It discusses above all how the two sides have engaged in political posturing, accusations, escalating sanctions and further escalating threats, arguing that the ease with which both sides have reverted to a Cold War mentality demonstrates that the Cold War belief systems never really disappeared, and that the hopes raised in the aftermath of the collapse of the Soviet Union for a new era in East-West relations were misplaced. The book pays special attention to the often ignored origins of the crisis within Ukraine itself, and the permanent damage caused by the fact that Ukrainians are killing Ukrainians in the eastern parts of the country. It also assesses why Cold War belief systems have re-emerged so easily, and concludes by considering the likely long-term ramifications of the crisis, arguing that the deep-rooted lack of trust makes the possibility of compromise even harder than in the original Cold War.